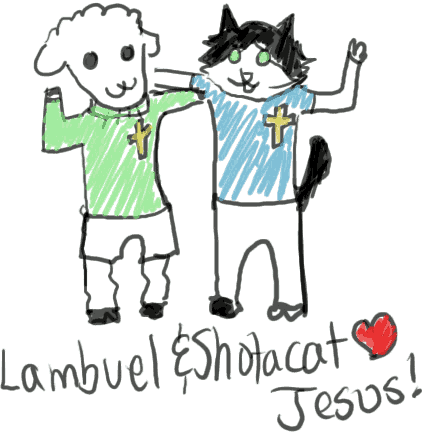 Lambuel & Friends Kidz Crafts Draw Lambuel! Dress Up Lambuel! I love to see your artwork! If you have a picture you drew or colored that you would like me to see, ask your parents* to send it to my friend Peggy at peggymiller@objectiveministries.org, along with your first name and age. Everyone who sends me a picture will be in my prayers! 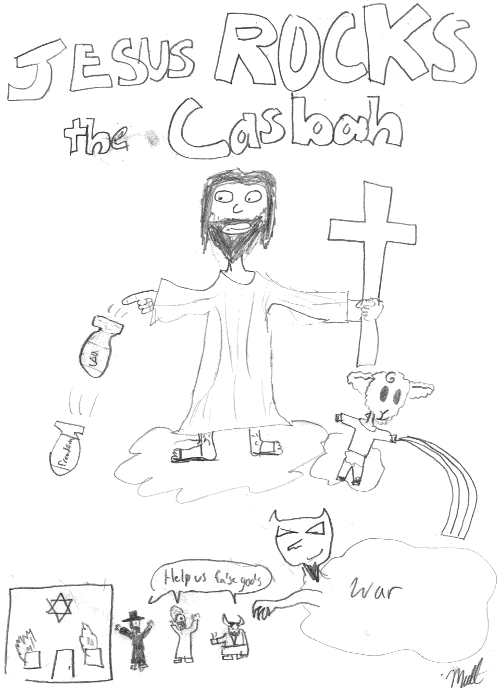 Howard-Phillips (10) drew Jesus making a new friend! 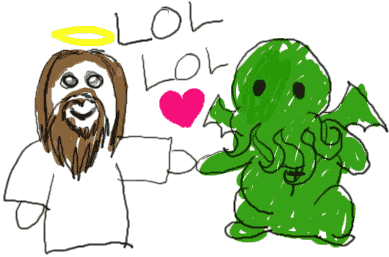 "It shows Jesus with an squid monster named Kootooloo. even squid monsters and sinners. I hope my pictere will help others find Jesus." who haven't been hugged by Jesus yet! showing our love for Jesus! Yay! but I like his style! instead of having a huge war! Wouldn't that be nicer? His Kingdom on New Earth and live forever in our new glorified bodies! chance, even though they rejected Him? 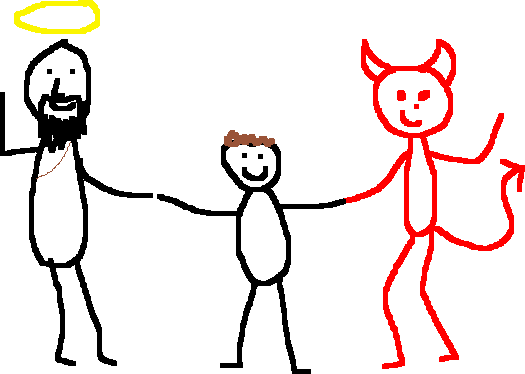 Jesus really does Love everyone! * NOTE TO PARENTS: Please do not send full-color, uncompressed Windows Bitmap (BMP) files as these will fill up our mailbox. Preferred formats are JPEG for scanned images and GIF or PNG for computer-drawn images. JPEG compressing an image drawn in a program like Window's Paint will make it much lower quality and more than 10 times larger than if you had saved it as a GIF or PNG. If the file size is more than a megabyte, then you have done something very wrong. Thank you and God Bless.